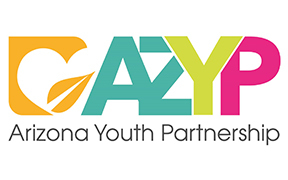 Arizona Youth Partnership builds solid foundations for youth and families by partnering with Arizona communities to prevent and solve local issues such as substance abuse, youth homelessness, lack of educational opportunities, teen pregnancy, and challenging family dynamics. Remember how hard it was to fit in and deal with friends? John came to Arizona Youth Partnership’s (AZYP) Summer Leadership Institute program in Sahuarita. His mom signed him up telling AZYP facilitator that he had struggled with fitting in with his peers and had anxiety in social situations. He came into the program and learned through fun activities about peer pressure, relationships and goal setting. He participated and was accepted by the other youth in the program. His birthday fell at the end of the program and his mom asked if she could do something special for his birthday during the program. He was enjoying it so much that she thought it was an opportunity to provide him with some positive experiences with his peers. 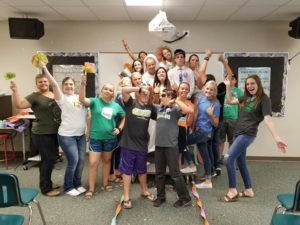 She had thrown him a birthday party last year and invited his whole class. Only one classmate attended, and he was devastated. In conjunction with the AZYP facilitator, his mom planned a cake and birthday activity for him during lunch. All of the other youth participants were excited to celebrate his birthday, and he beamed when nearly 30 youth sang happy birthday in unison, in his honor. Thanks to generous support of our donors, AZYP provides educational programs to youth and families to prevent risky behavior in youth and help them grow up to be healthy, self-sufficient community members. These skills are taught in school, after school, in summer programs, in residential program, and in community-based settings. But, AZYP is more than just about building skills and educating youth in important life topics, it’s about building community. We believe that by being a catalyst to make change in local communities we can prevent youth substance use, help youth make healthy decisions in relationships, and succeed academically but most importantly, we can change lives.